Want to Shop? Smart Online Shopping Starts at ShopSafe USA - the American Shopping Directory listing safe, secure online shops and stores - . Want to Shop Online in America? We've checked the security, delivery, range of goods and prices of the online shops and have 1570 shops listed in 101 categories, as well as special offers, bargains and gift ideas. We've got everything from toy shops and gift shops for your Christmas shopping to supermarkets for your weekly shop. Compare prices at our many book shops or CD shops, or send some flowers or chocolates for Valentines Day! Click on the shopping categories on the left to find the online store you're looking for. Our Featured Merchants section can link you direct to products we recommend on the American Web. 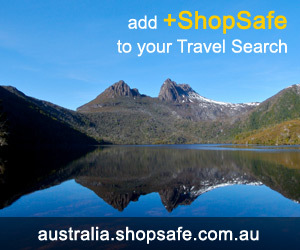 If you have any problems with our site or with any of the shops listed please let us know - email contact@shopsafe.com. We cannot promise anything but we will do the best we can to achieve a satisfactory resolution for you. 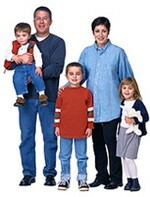 For the best in American secure online shops and shopping add shopsafe.com to your favourites now. Safe online shopping starts here. "I'm a devoted Internet shopper - In the last few years I've bought so much online, from books and CDs to trainers and a TV"says Graham Miller, one of the founders of ShopSafe UK. "So long as you take some basic precautions you shouldn't have to worry. Don't rush in to anything - there are hundreds of shops and stores out there, and try to enjoy yourself - you can still feel the excitement of finding a bargain sitting behind a computer screen. Just don't get carried away and fill your credit card up in one go!" All else failed? Let us help. If you want to see more Car Rental Online here, please e-mail us. Please do not change the subject line of your email. If the subject line does not contain "Add to ShopSafe Online Shopping" it will not be read. Please email car_hire@shopsafe.cc.